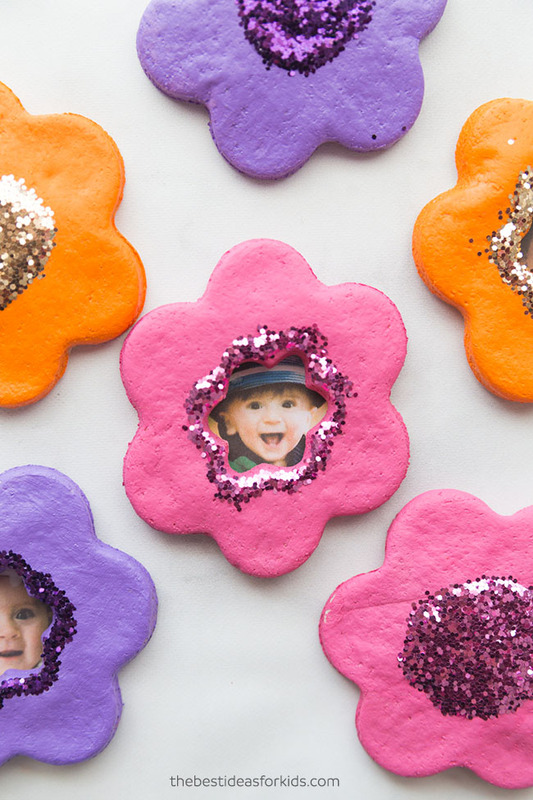 We love salt dough crafts here and Mother’s Day is a perfect time to make some salt dough ornaments! 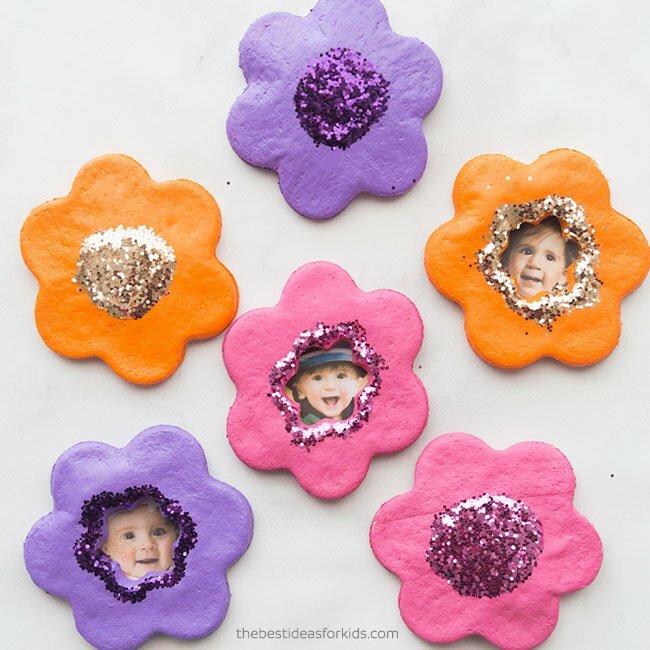 You can make salt dough simply as a keepsake or turn them into magnets like these salt dough flower magnets. 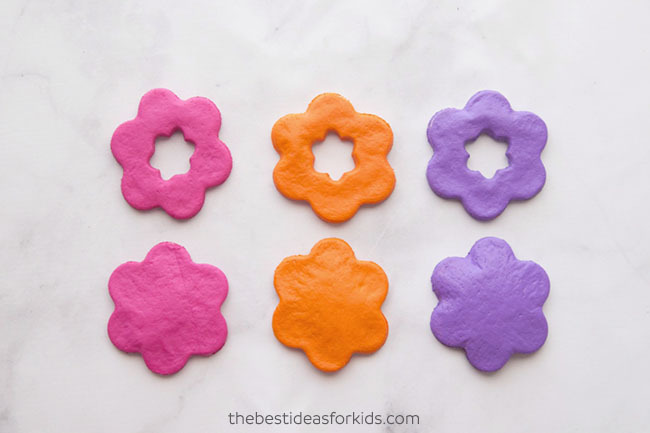 Kids love helping to make salt dough and they will have even more fun decorating these salt dough flowers! 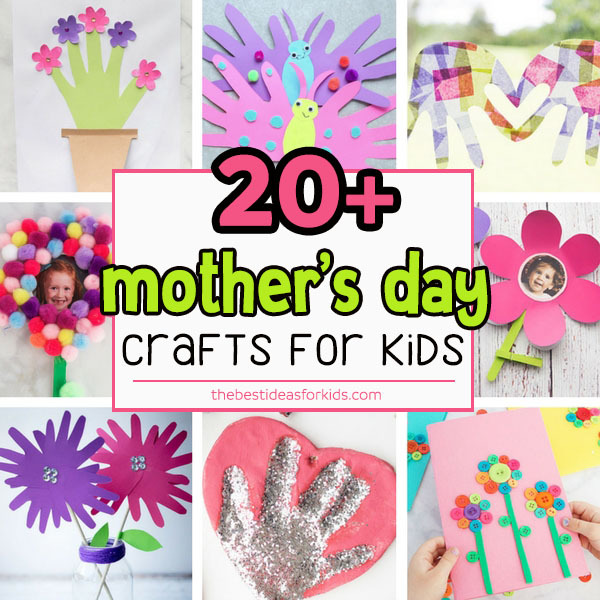 This is a great classroom activity for Mother’s Day. You can have each child decorate one or two of their own flowers. Just note that you will need to bake them or let them air dry for a few days before painting. 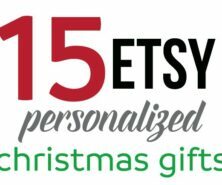 We love that you can make a large batch of these for a very low price and each and every flower will be unique! Making salt dough is really easy! You only need 3 ingredients: flour, salt and water. And just a friendly reminder due to the salt content, please keep away from pets as it can be toxic to them if eaten. 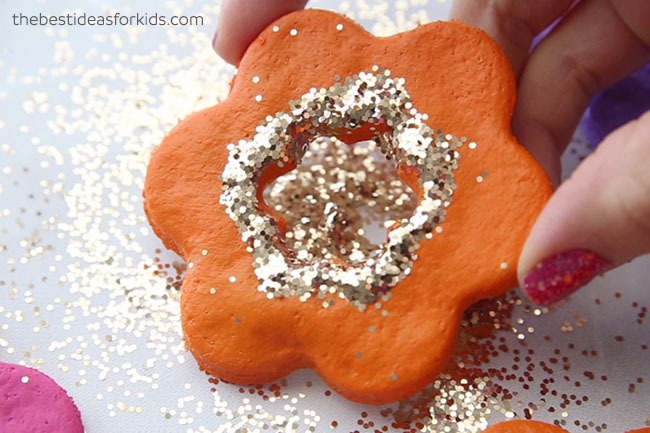 You’ll also need a flower cookie cutter so you can easily make the flower shapes. Flower Cookie Cutter – you’ll need a large and a small one. This set is perfect since it includes both sizes you’ll need to make the photo version. 1. Print our salt dough recipe off first. You can get the recipe here. 2. Make your salt dough according to the directions here which has the exact measurements and baking instructions. 3. Once you’re done kneading your dough, roll out the dough to about 1/2 cm in thickness. The thinner your flowers the better as it will take less time to dry and not be as heavy to hang on your fridge. 4. 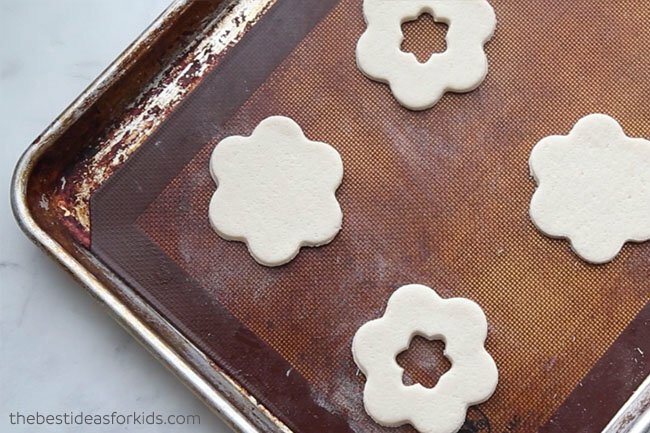 Using your flower cookie cutter make your flowers and place them on a baking sheet. 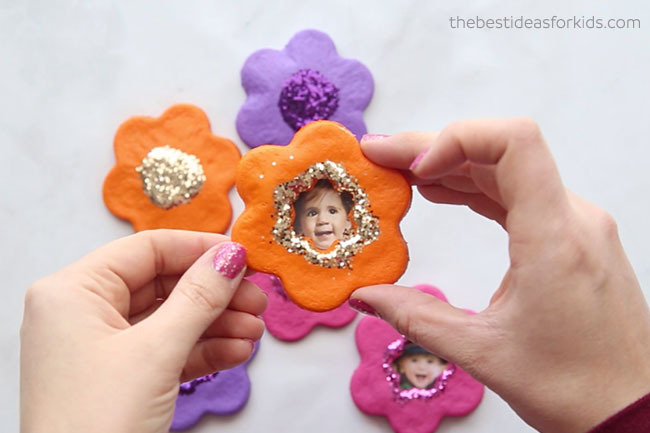 You can make plain flower ones or make some that have an extra cut out for adding your photos. 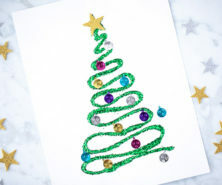 Tip: Use a non-stick baking sheet so your ornaments do not stick. You can also dust a little bit of flour down to help them from not sticking. 5. Once completely dry, paint your flowers. 6. Once you are done, don’t forget to seal with either mod podge or a clear glaze spray. Adults should do the spraying and always follow directions of the product chosen. Sealing the final flower magnets will help stop them from cracking in a few years. It also helps to keep the moisture out so that they do not get moldy. 7. 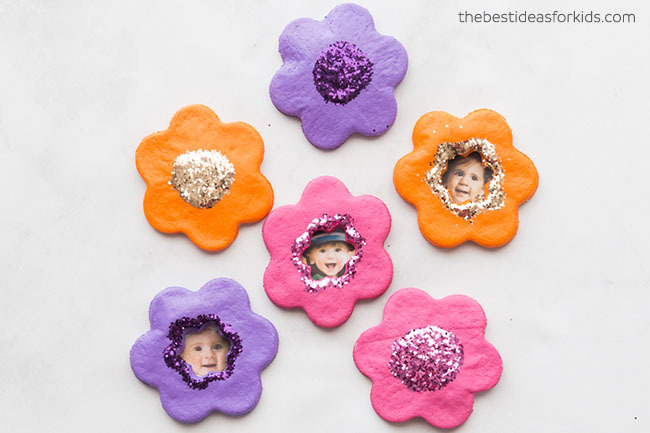 For extra decoration, add some glue to your flowers in the center for the plain ones or add glue around the flower cut out for the photo versions. 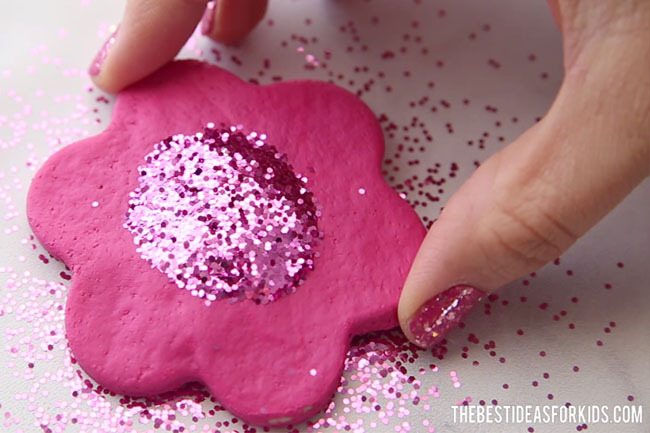 Then sprinkle some glitter on top. 8. Then add your photo to the back for the photo versions by gluing your photo to the back. Let this dry and then glue a magnet to the back. 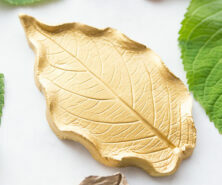 You can also use craft peel-and-stick magnets. 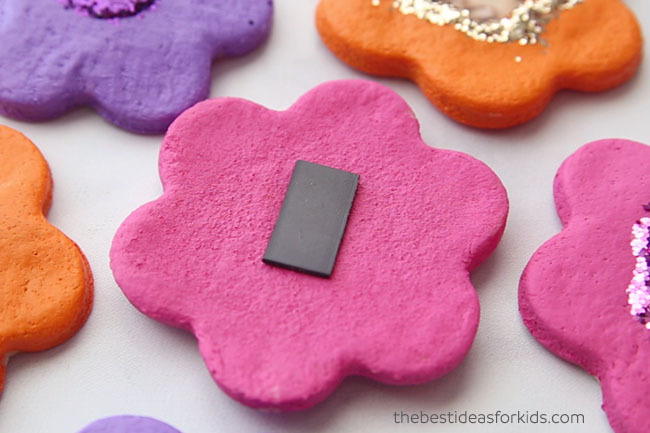 You can make a large batch of salt dough and turn them into so many different magnets too! 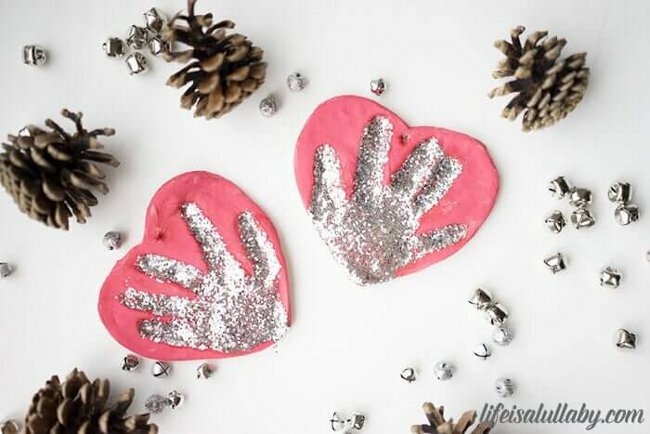 Mom will love getting these homemade magnets for Mother’s Day! We need to use the oven to dry it? Hi – yes if you click our salt dough recipe link above it will take you to the baking instructions.